The East River Bandits are one hell of a band. Their fiery brand of alt-country is full of New York City swagger with roots born deep in the heart of Texas. The Bandits are fronted by Rob Lilly, a Stephenville Texas transplant nearly on the verge of giving up on music. Then through the East Village bar scene he met Dan Sweeney, a rock guitarist with a new curiosity about the mandolin and the Telecaster twang. Before long, chords were charted, lyrics were penned, and songs were born. With Tim Besa anchoring the rhythm section on bass a band had been formed. After a year of shows which quickly grew in size, the band funded their debut record "Down the Road" with the help of a generous Kickstarter campaign and a loyal following. The band supported that record with two years of gigs throughout New York City area including two sold out Mercury Lounge shows and a slot opening for Shooter Jennings at the Bowery Ballroom. Soon after, The Bandits recruited drummer/producer Alam Camlet to man the kit. 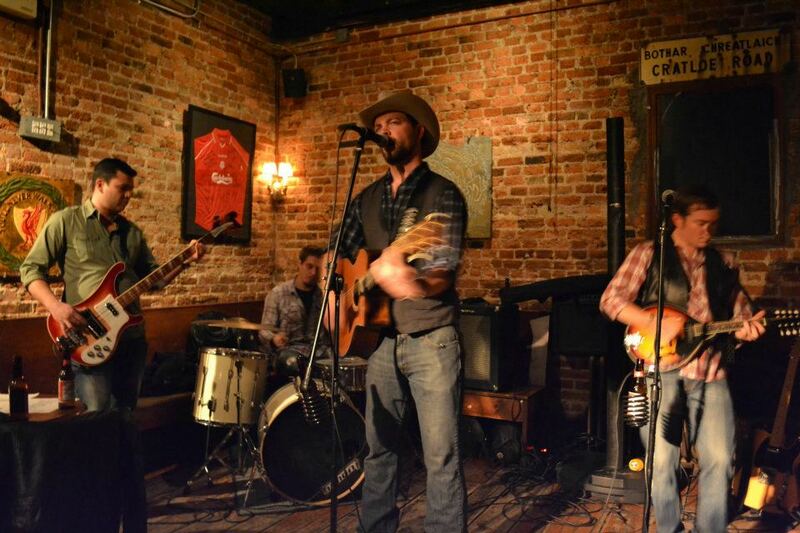 With Camlet working from his own Hoboken Recorders studio, the East River Bandits began work on their next project. Taking a bare bones approach during these sessions, the Bandits tried to capture the live sound they had been honing over the last two years. The result is "Whiskey and the Women", a five song EP that showcases the swagger of a band that loves to do two things: play music and bring everyone along on their journey. "This East Village Based Texas Style Country Band recently fully funded their debut album through Kickstarter with help from their loyal fan base that has grown from doing a monthly residency at the 11th St. Bar. They are now poised to move up to the big stages of NYC and take their show on the road. Expect some rocking Outlaw Country that will have you picking up their album on your way out the door waiting for more."